With Our Bright Led Bike Wheel Light, you'll not only have a safer ride, you'll have the coolest bike on the street! Experiencing cool feeling, making your bike unique and becoming the focus of night! The design makes it water resistant for rainy rides. No tools required, fast and easy installation. It is a great gift idea for presents for Christmas, birthdays and other holidays. - Size: 7x5x3.8cm / 2.8x2x1.5inch. - LED Quantity: 20 pieces. SUPER FUN :Considering of safety,most bicycles,like mountain bikes,ross bikes,mummers and child bicycles all can be equipped with our bike wheel lights. each package box covers 1 wheel, any colors are in different style! High brightness lights gain increased visibility from all directions,keep your loved one or friends safer. Safety Performance: VORCOOL Bike wheel light is compact, lightweight and bicycle center of gravity,no exterior impact. It is hard to shake it off even if you run on a spoke of a wheel steady, uneven road at night. The light illuminates the surrounding road surface scattered from 360°, making the road more visible and improving safety even in bad weather condition. 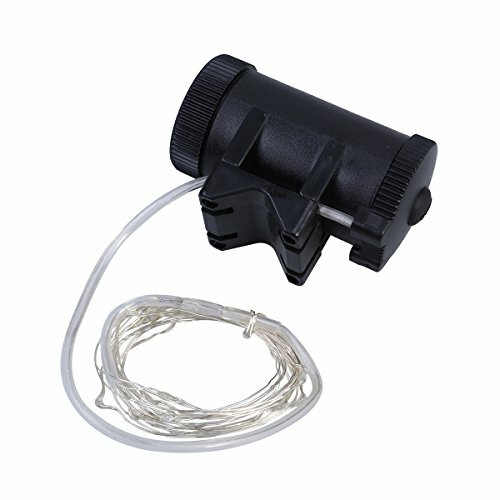 IP65 waterproof design, even immersed in water within 10 minutes, these bike wheel lights still work well. Easy to install:You got it! These cool LED bicycle rim lights are simple to install. You only need minutes and it's suitable for wheels with 20 spokes and larger one, they even fit smaller wheels with 20 spokes. No tools needed.